You probably heard about the hacking group known as “MuddyWater” which was behind previous spam campaigns targeting a wide range of industries and institutions in several countries across the Middle East, Europe, and the US. Spotted for the first time in 2017, when the group hit the Saudi Government, future spam campaigns discovered by security researchers were also linked to the same group. It appears that the authors of the MuddyWater group aren’t slowing down these attacks and continue to be highly active and persistent. Earlier this week, threat researchers observed another spam campaign in which the “Muddy Water” group has been involved. 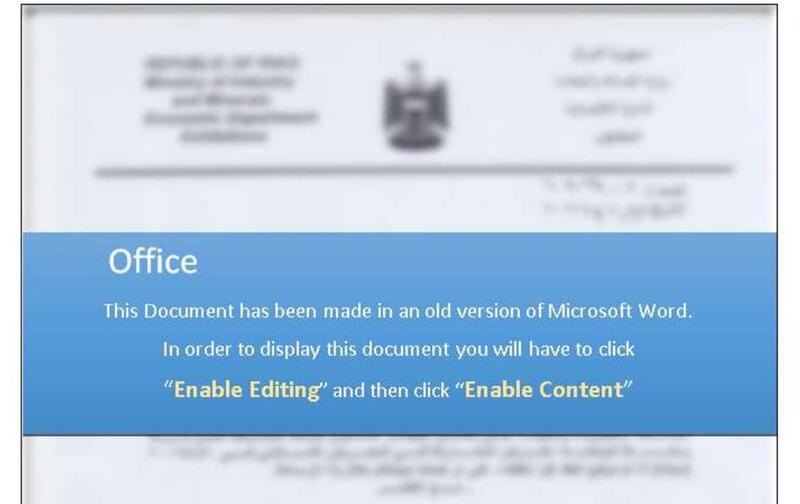 In the analyzed campaign, malicious actors are using social engineering techniques to bait potential victims from targeted organizations into enabling macros in the Microsoft office package. It’s not the first time this attack vector is being used, but as long as it still works why not trying it, right? In this scenario, users receive a phishing email with a document containing a VBA macro code which, if enabled, will compromise users’ systems by using a PowerShell payload. If macros are enabled, cybercriminals will use Windows scripting host “//E” command line which is a Base64 encoded payload employing the obfuscation method. Attackers will try to connect to the victim’s machines by using the GetSystemWebProxy method to retrieve a proxy for impersonated users, get the default credentials, and connect to another server. Thus, they will perform remote control actions. After getting access and enabling the macro, hackers will restart users’ machine and modify the registry keys with an “Update Service” message. The Base64 encoded payload is dropped on vulnerable machines on C: Windows temp picture.jpg using a C&C server where all sensitive data (hostname, date, language, files from multiple folders) are collected like this one: 185,162,235 [.] 182 (sanitized for your own protection). 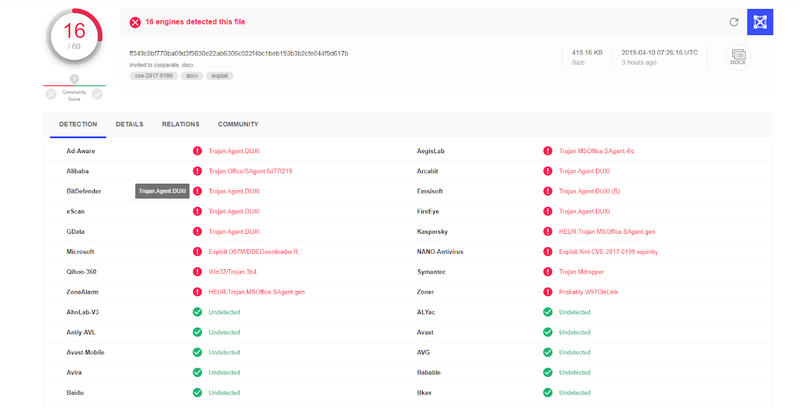 Heimdal Security proactively blocked these infected domains, so all Thor Home and Thor Enterprise users are protected from getting infected with malware. According to VirusTotal, 16 antivirus engines out of 60 listed have managed to detect this malicious document used in one of these spear phishing campaigns analyzed. While these attacks aren’t new, they continue to wreak havoc and evade AV detection. You can read here more examples (with in-depth technical details and research) of MuddyWater operations here. Once again, we remind not to open or click attachments, files or links coming from unknown sources. Just DON’T. Remember to be suspicious and question every email you get in your inbox. Thats nice, but what are these domain, for others not with Heimdal. Hello Jeff! Thanks for the feedback and for taking the time to read the article:-). We are talking about malicious domains that hackers can use to lure victims into clicking and compromise their data. We’ve updated the article. Thanks again for the feedback!